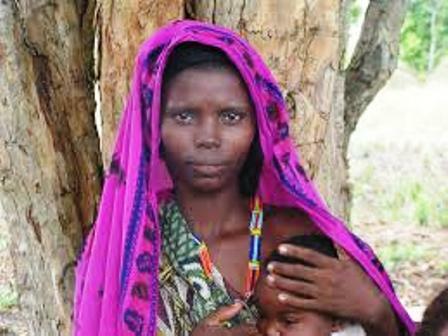 Who are the Boni People?The Awer people live in Lamu and Ijara districts. 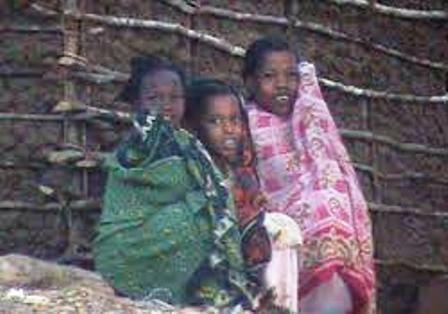 They are called Boni, meaning people of a lower caste system, by the Somali neighbors. 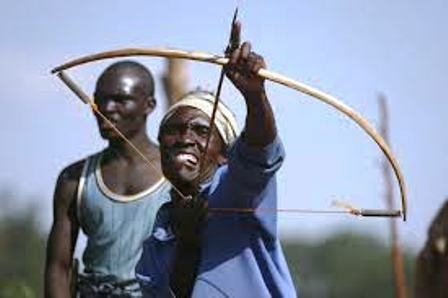 They are hunters and gatherers and live in the Boni and Dodori Forest Reserves. 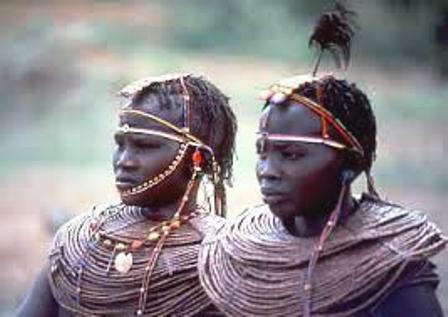 They are thought to be distinct relatives of the Oromo and the Watta who originally migrated from Ethiopia. They are indigenous forest dwellers. Traditionally about 80% of their diet consisting of plant food, including berries, nuts, roots and melons gathered primarily by the women. The remaining 30% was meat, hunted by the men, using poisoned arrows and spears but nowadays they practice shifting cultivation (good for conservation) but to a small scale because the crops (maize, beans, peas, bananas, paw paws, cassava, mangoes, pumpkins, and cashew-nuts) are usually destroyed by wild animals like baboons, elephants and buffaloes. Their ties of kinship are fairly relaxed since their social structure is not tribal. Because they have no paramount leader they have a loosely knit family culture where decisions are made by universal discussion and agreement by consensus. The roles of men and women are very distinct and rarely overlap which is universal with hunters and gathers in the whole world. It is based on survival needs, encouraging the most efficient utilization of available skills and resources. They are Muslims. Although there are group differences, a basic belief system exists where they believe in a mythical being, part trickster, part creator who is capable of great good but also of playing tricks on people. This creature is called Kaggen by some and Cagn by others. The shamans who go into trances and altered states of existence during ritual dances acquire access to the lesser god who cause illness. The marginalisation of Kenya's Boni tribe, known for their unique tradition of whistling to birds that guide them to honey, has raised fears that their mellifluous song will soon be silenced. With little or no access to health care and other resources, the Boni's ranks have steadily dwindled and the tribe is now on the verge of extinction. The semi-nomadic Hamitic tribe nestled between the Indian Ocean and the Somali border in northeastern Kenya's Lamu district numbers barely 4,000, compared to 25,000 half a century ago, according to the Organisation for the Development of Lamu Communities (ODLC). "We depend entirely on nature for food and medicine," said Nur Mohamed, a Boni. The central ingredient in the Boni's diet is honey, which they track down with the help of birds -- known by locals as "Mirsi" and commonly described as honey guides -- who feed on wax and bee larvae. The peculiar species has been scientifically proved to lead animals and humans to bee nests. "But sometimes, the birds don't cooperate when they are not hungry," Mohamed explained, speaking in his native Boni dialect. On a good day, the Mirsi will noisily alert Boni by landing on a tree concealing honey. The Boni then hack at the tree trunk and smoke it up to numb the bees before retrieving the bounty. 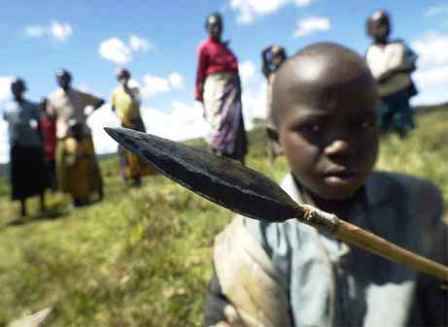 Members of the hunter-gatherer tribe also eat wild fruits, roots and a variety of game -- which they say has put them at odds with wildlife officials. "They hunt antelopes, buffalos, even giraffes," said Mohamed Ali Baddi, who heads a local development organisation. "Nowadays, I hunt secretly and I eat secretly. 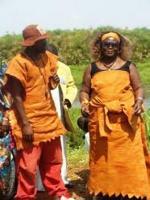 Otherwise, the Kenya Wildlife Service will beat us and arrest us," said Sadi Jumaa, who wears a belt made of baobab bark. "Hunting is a way of life. For them, it is not poaching. But for the KWS, they are poachers," says Baddi. Some of the Boni's other traditional practices are a far cry from modern life, for better or worse. "We know the herbs to treat malaria, stomach aches, snake bites. But some of the herbs are too strong for children. Sometimes they die," Mohamed says. The nearest hospital to his village of Kiangwe is several hours' walk away. While they are keen to preserve their ancestral way of life, the Boni feel ignored by the Kenyan government, as do other tribes of honey-hunters across the country. Kiangwe is a small village of 360 inhabitants living in mud huts with no dispensary, no road, no running water and no shops. Residents say travelling vendors pass through on average twice yearly. Despite the lack of electricity, a handful of villagers own mobile phones, which they charge with a homemade contraption of wires and batteries attached to a dismantled phone charger with pieces of cardboard. "To get some network, sometimes you have to climb a tree. You have to apply the modern and the traditional technologies," Mohamed says, laughing. The Boni's main grievance is a lack of access to education. Kiangwe has only one kindergarten, a bare building equipped with a lone blackboard. "The children sit on the floor," says Jumaa. The empty classroom's walls are decorated with schoolchildren's charcoal drawings of lions and balloons. The nearest junior school is four hours away and offers education for the next grade up. "Teachers don't want to come here. It is too far away from everything," said Asman Mache, who, unlike many Boni, knows how to read and write. "Government participation here is zero," said Jumaa. "Maybe the government should come up with a policy for a Boni reserve so that they can preserve their culture," said Omar Aliyoo, one of two Boni tribesmen to sit in the local municipal council. "Our way of life is disappearing. There is a danger that the Boni people will disappear." For years, they lived in the forest, where they could hunt and provide food for their families. When the government decreed that hunting was against the law, they re-located closer to the seashore. They are unable to hunt, and they don’t know how to fish. They survive on occasional food shipments from the government or charities.